Oversee Historical Awards, Publications, and Secretary Committees (NON-VOTING committees in LEC) Responsible for Membership cards and records. Makes the Lodge Banquet schedule, pamphlet and overall coordination of the event with the hosting Chapter. Will supervise an assigned chapter as assigned by the Lodge Chief and other duties assigned by the Lodge Chief. Will assist in the making of pamphlets for each event, working with the assigned Vice Lodge Chief for the event. Oversee Lodge Activities (planning, recruiting, etc.) Responsible for Lodge Shows Oversee AIA and Lodge Chaplain Corps Other duties as assigned by Lodge Chief Organize programs for each event. Establish a shows committee when hosting Conclave composed of 14 members including 4 members from Appalachee, Choctaw, Oschambos, and Woapalanne. Have a show script ready and available to each shows committee member a month in advance to the event. Have at least one practice prior to the event. Keep copies of the aforementioned scripts for the next Vice Chief of Program. Makes the Spring Fellowship schedule and assists the Vice Chief of Administration in making of the pamphlet. Will supervise an assigned chapter as assigned by the Lodge Chief. Responsible for Lodge Service projects Oversee Service Corps and Unit Service committees Supervise Ordeal projects (recruiting, materials, etc.) Is responsible for the making of the Ordeal schedules, Ordeal events and work with the Vice Chief of Administration on the making of the event pamphlet. Other duties as assigned by the Lodge Chief. Keep a list of tools available at Spanish Trail Scout Reservation for Ordeal and Lodge workdays. Manage the Lodge closet supplies in Henson Hall and the Trading Post. Will supervise an assigned chapter that is assigned by the Lodge Chief. Oversee Lodge Training Responsible for all Lodge Training Oversee Inductions committee other duties as assigned by Lodge Chief. Create incentives (e.g. prize drawings) to get higher attendance at the Training sessions. Get the trainers ready at least a month before the event so they have time to make them awesome. Makes the Fall Pow Wow schedule, Fall Pow Wow event and works with the Vice Chief of Program to make the pamphlet. Will supervise an assigned chapter as assigned by the Lodge Chief. Recruits, trains, organizes Drum and Dance teams. Works in conjunction with YNAW Chairman/Adviser for YNAW preparation, but is only responsible for to make sure the YNAW Sub-Committee has all needed assistance that the YNAW Sub-Committee asks for of the American Indian Activities Chairman. Teaches various sessions to Lodge concerning Native American tribes, customs, regalia, foods, etc. Makes sure the Lodge Drum and Dance teams competes at Conclave/NOAC as able and appropriate. Is responsible for the full operation of YNAW as a whole concerning planning and normal operation of the event. Takes, edits, and publishes Lodge Executive Council minutes and releases them to the Lodge Executive Council within two weeks after the Lodge Executive Council. 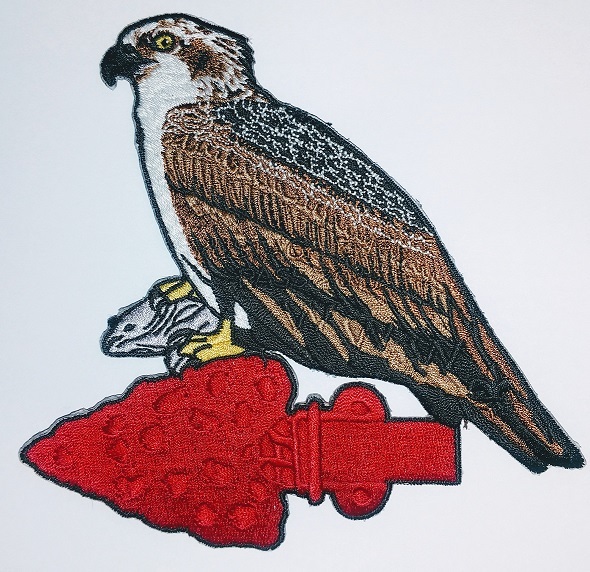 Prepares and publishes the Lodge newsletter, The Osprey. Recruits chapter reporters for The Osprey. Makes the Lodge scrapbook. Oversee Lodge Box and merchandise Present accurate records of Lodge finances at each LEC. Works with Brotherhood candidates during training, ensures 30+% annual conversion rate for Journey to Excellence. Works with Lodge Secretary to notify every eligible Brotherhood candidate. Is in charge of the new member registration process at all Ordeals. Oversees Vigil Sub-Committee, but only offers assistance if asked upon by the Vigil Chairman. Oversees Elangomat Sub-Committee, but only offers assistance if asked upon by the Elangomat Chairman. Serves as a resource for the Chapters conducting Ceremonies. As such the committee will oversee that each Chapter is responsible for specific ceremonies and will be contacted by the Ceremonies Sub-Committee Chairman and notified when specific ceremonies are needed. Ceremonies will be divided by Chapters in the following manner: Appalachee, Pre-Ordeal; Choctaw, Brotherhood; Oschambos, Pre-Ordeal; Woapalanne, Ordeal. Further the Chairman is responsible to make sure that the Chapters organize ceremony teams for each needed ceremony, makes sure the Chapters recruits new members, trains new members and that Chapters have the needed regalia. Ceremonies Sub-Committee Chairman is to be the point of contact if Chapters need assistance with ceremonies such as finding needed regalia for a ceremony. 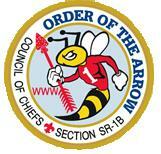 The Chairman makes sure that the lodge competes, as able, at Conclave/NOAC, as appropriate. Is responsible for training all Elangomats at all Ordeals and as able. Keeps in contact with all Elangomats year around to oversee their contact with their clans. To push for higher retainment of all new members and for higher conversion rates into Brotherhood. Contacts all chapters at least one month before an Ordeal to secure needed Elangomats from each chapter depending on the number of candidates coming from a chapter. Will make sure that the chapter assigned to Religious Service has a Religious Service ready for their assigned event and serves as a resource for each Chapter conducting Religious Services. Conducts any services as necessary as asked by the Lodge Chief. Maintains Lodge resources for Scout’s Own Services. Publicizes the Duty to God program at all Lodge events and supervises the Duty to God program. Plans all Ordeal projects that are approved by the council for the Spanish Trail Scout Reservation. Is responsible for organizing all needed persons, materials and tools for all Ordeal projects. Plans all Lodge workdays as asked by the Lodge Chief. Plans and organizes Southern Region One Day of Service for Lodge and serves as Lodge One Day Coordinator. Promotes service to the Camp, Council, and communities within the Lodge. Is in charge of the Order of the Arrow Troop Representation program which works with each Chapter year around to be involved with units within their area. Encourages support of units within the Lodge. Is the point of contact to help all units within the Lodge. Unit Service is the main collection point for all information resulting from unit election season from each individual Chapter. Unit Service oversees, represents Camp Promotions Sub-Committee and shall assist if asked by Camp Promotions Sub-Committee. 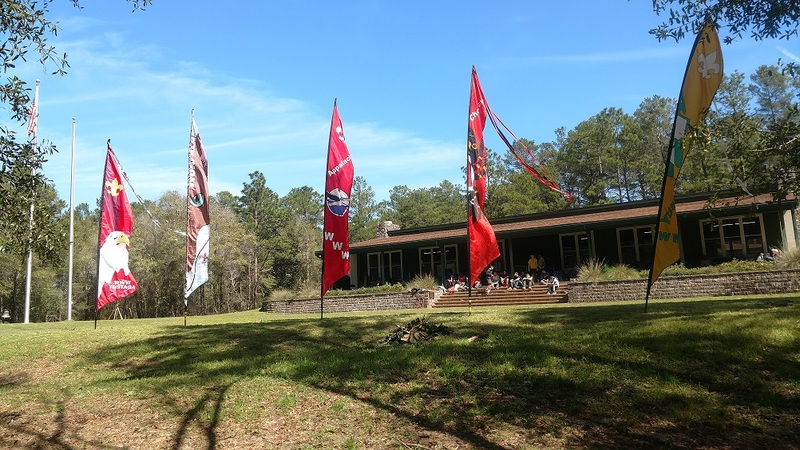 Promotes Spanish Trail Scout Reservation Summer Camp Program to Lodge, Chapters and to individual units. Informs the Lodge Executive Council of any needed projects to Spanish Trail Scout Reservation. Will inform the Lodge and Chapters of opportunities to volunteer at Spanish Trail Scout Reservation.